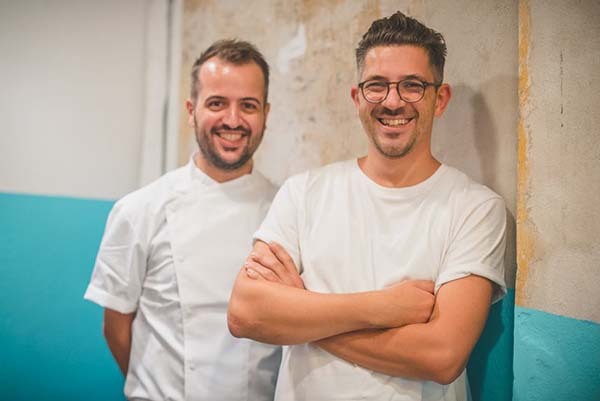 When brothers Salvatore and Matteo Aloe opened their first pizzeria fresh out of University in 2010, little did they know that less than a decade later, two would turn into a team of roughly 90, with nine restaurants in their native Italy, and two in London in the shape of Radio Alice, with Hoxton and Clapham outposts in collaboration with Emma King of Gail’s Bakery. 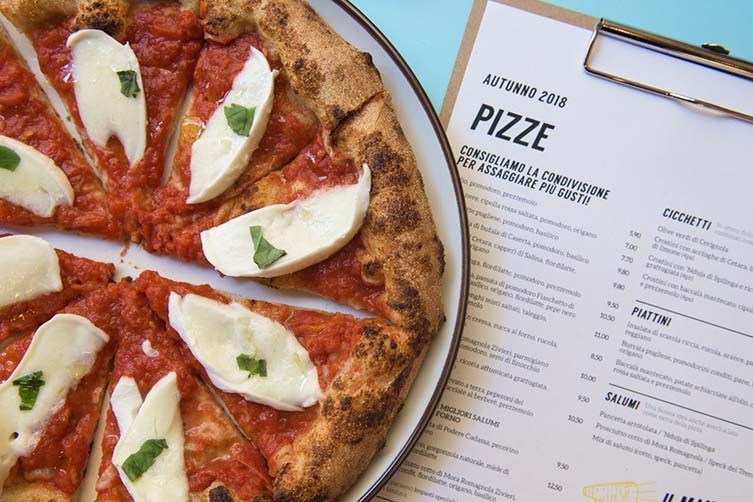 Serving up delicious artisanal pizzas crafted with living sourdough and topped with fresh, organic ingredients‚—served without frills in design-led and welcoming spaces—Berberè’s pizza’s are soft on the inside, crunchy on the out, and delivered to the table cut into eight slices to encourage the good old Italian essence of sharing and socialisation. 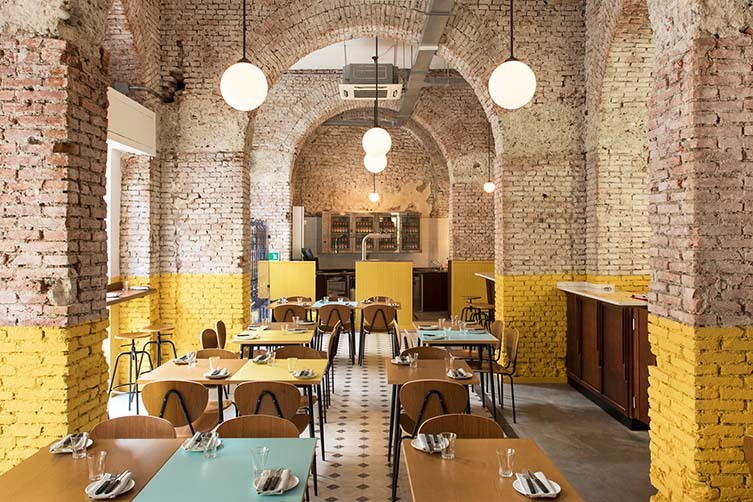 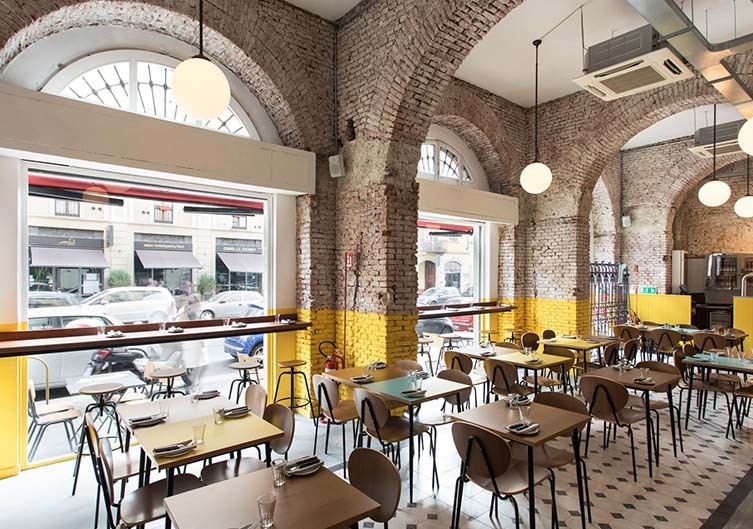 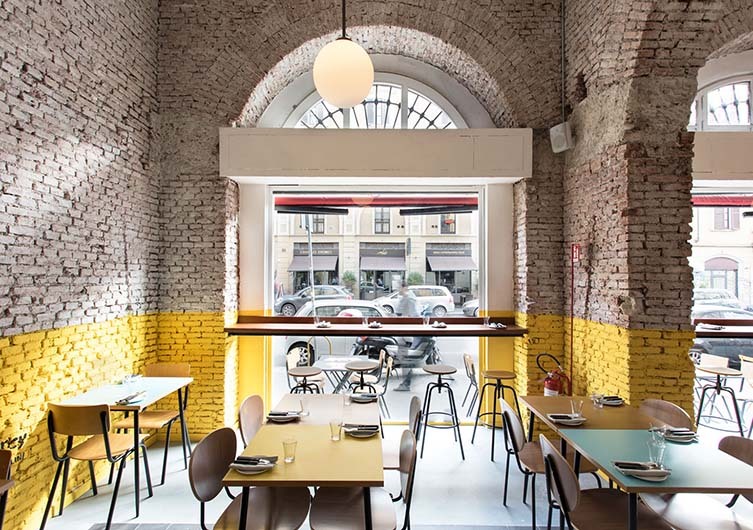 Over in their Navigli outpost on Milan’s via Vigevano 8, Rizoma Architetture recently completed a renovation that enhances the building’s original layout—including its impressive high-vaulted ceilings. 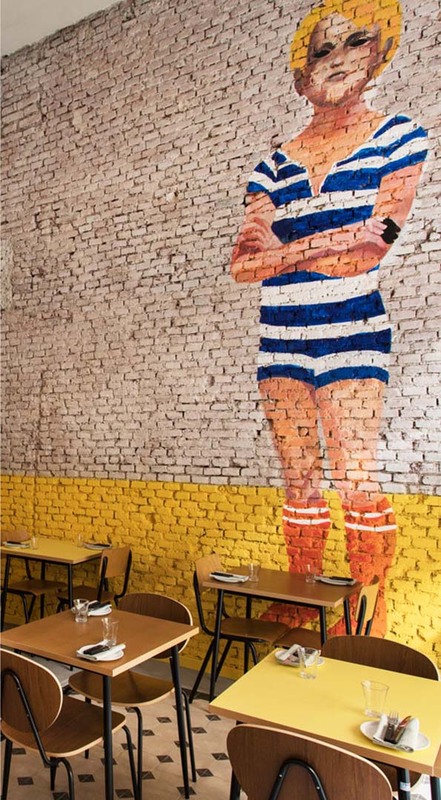 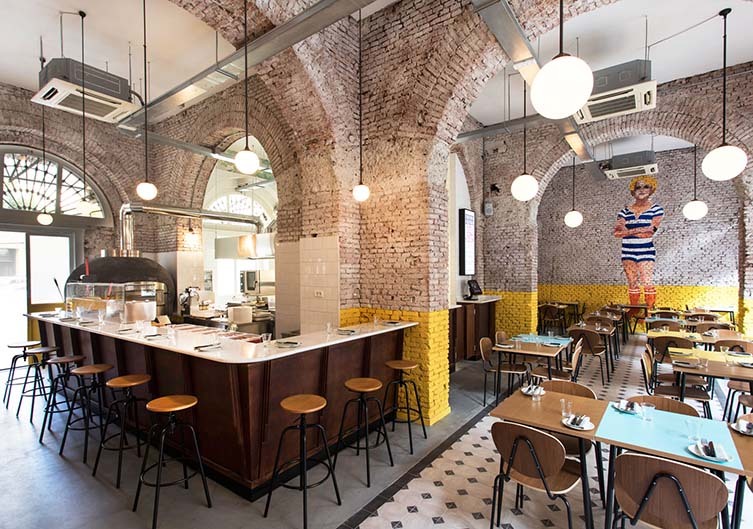 Exposing the original brick and adding splashes of colour, stylish lighting, and a mural by artist Percy Bertolini of a child wearing a 1920s bathing suit (recalling bygone times when Milan locals would still go swimming in the the neighbourhood’s famous canals), there’s an immediate sense of being somewhere non-imposing; a comfortable locale to hang out and eat great fare with great people. 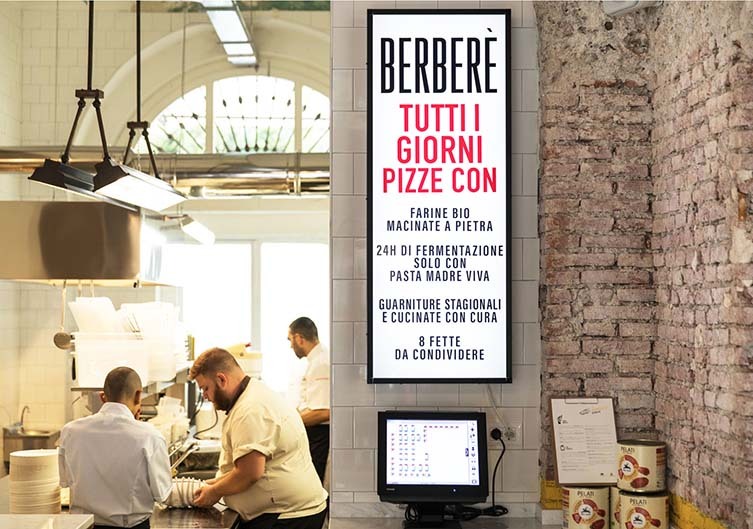 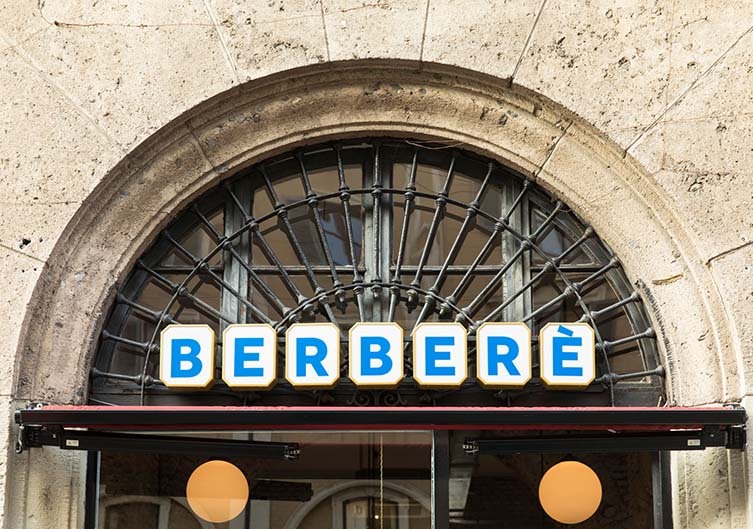 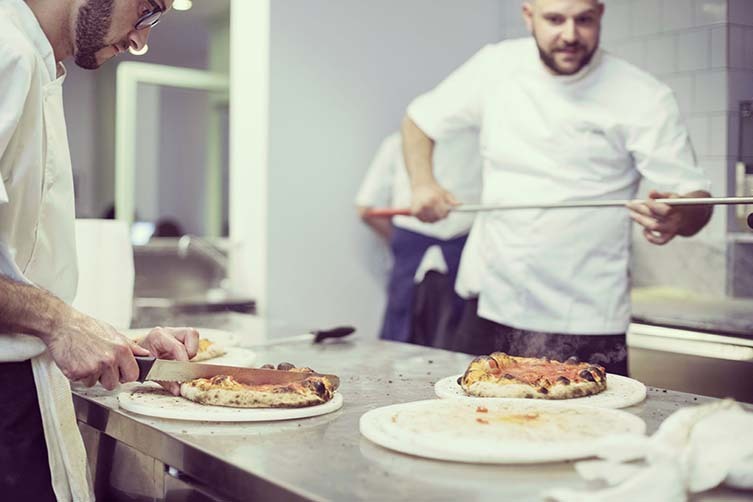 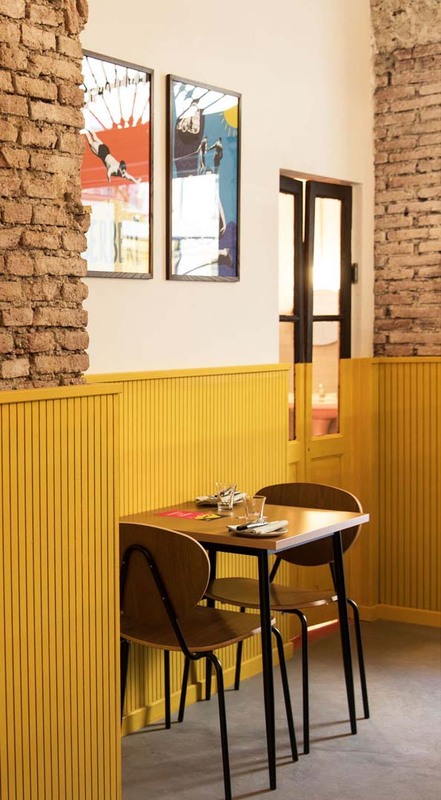 And with the kitchen and oven a focal point in Rizoma’s refit for Berberè Navigli, you can be sure to see where and how the brothers’ signature magic takes place—understanding the success behind their rapid rise.